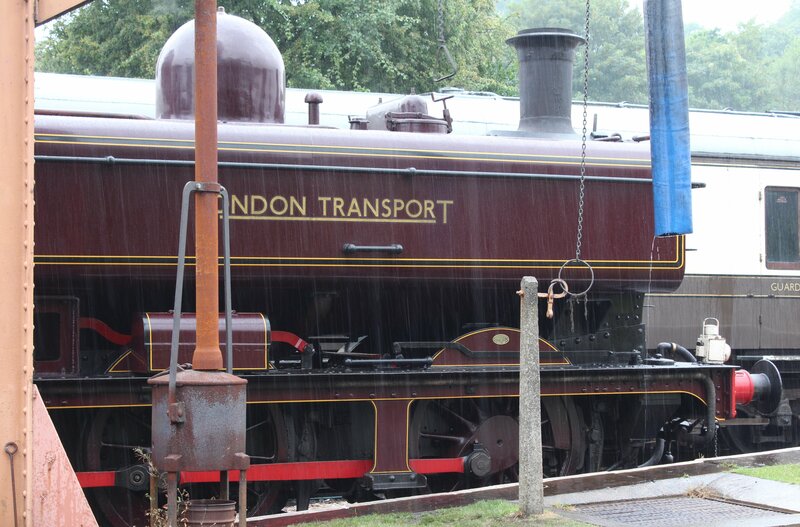 One of the worst kept secrets of steam locomotive colour schemes was discovered a long time before Harry Potter’s Hogwarts Castle (click here for more). 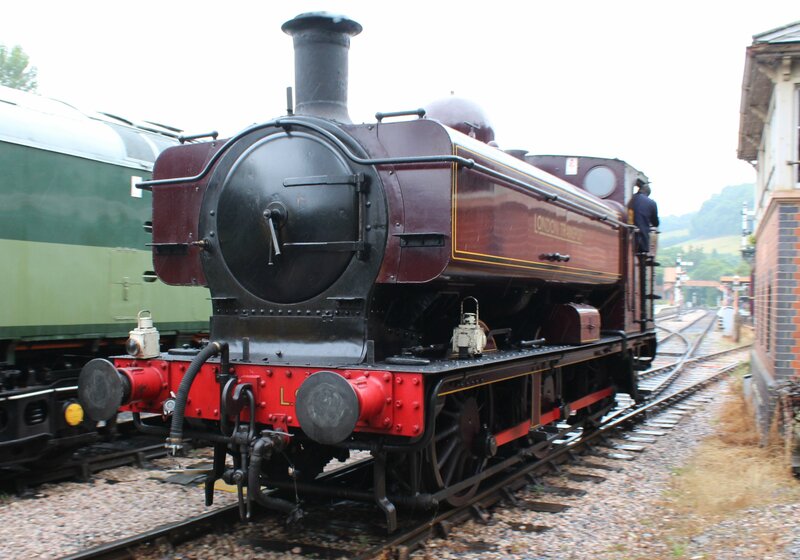 It is a secret that many of a western persuasion would probably keep to themselves… The secret being that Great Western Railway locomotives painted red look very good. 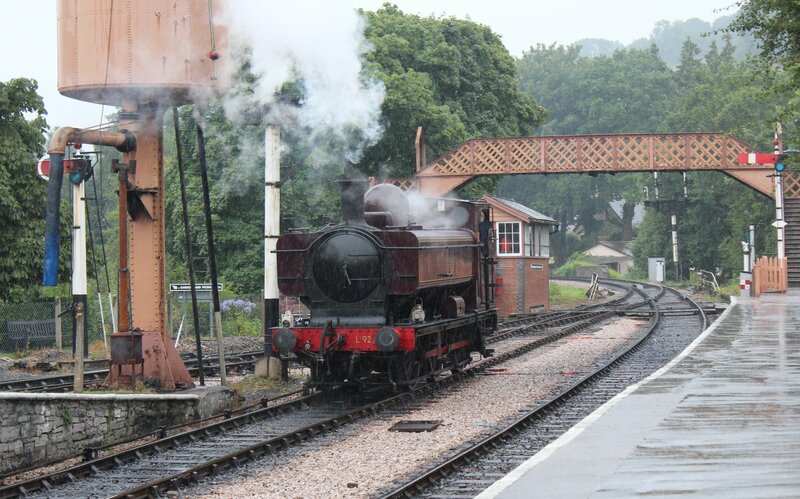 Whilst visiting the South Devon Railway recently (click here for more), I was fortunate enough to see resident pannier tank L.92 (GWR 5786) in steam, albeit in the pouring rain. 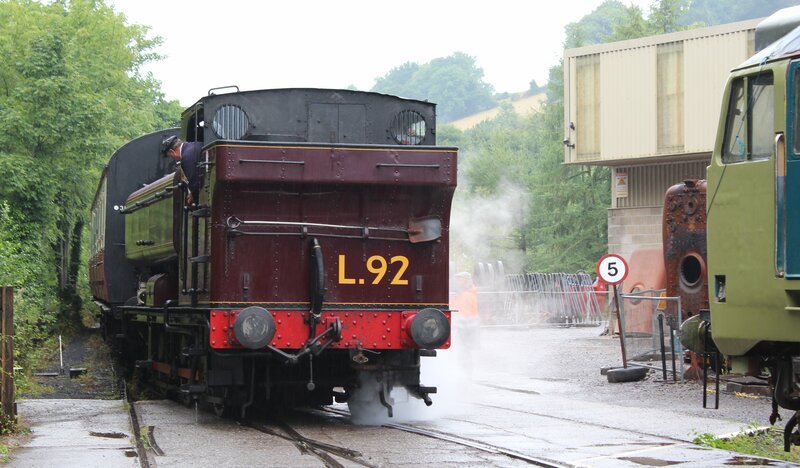 As mentioned in a previous blog post, unlike Prairie Tank L.150 (click here for more), this locomotive carries a “genuine” livery. 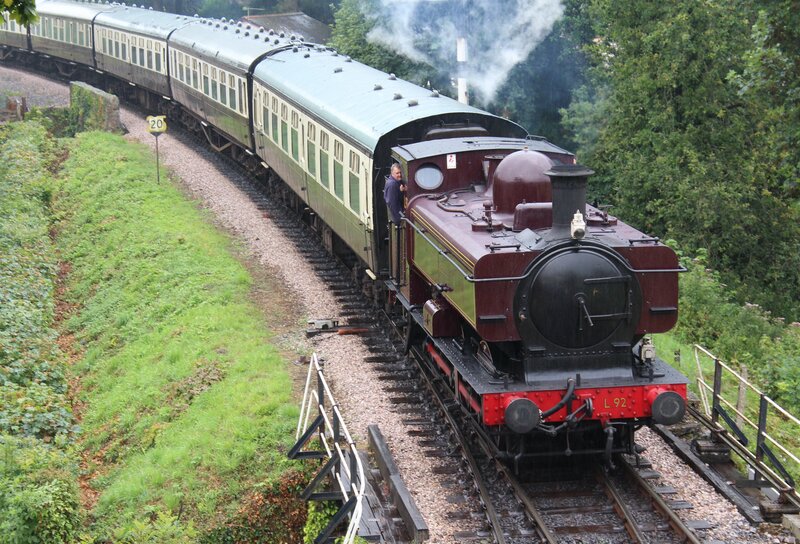 13 lucky ex-GWR 57xx pannier tank locomotives survived in service beyond the end of steam on British Railways. 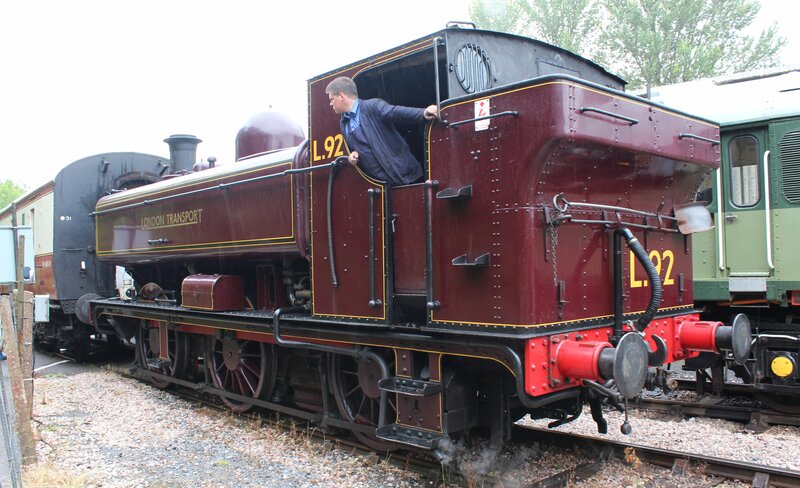 They served working engineers trains based at Neasden shed of the Metropolitan Railway. 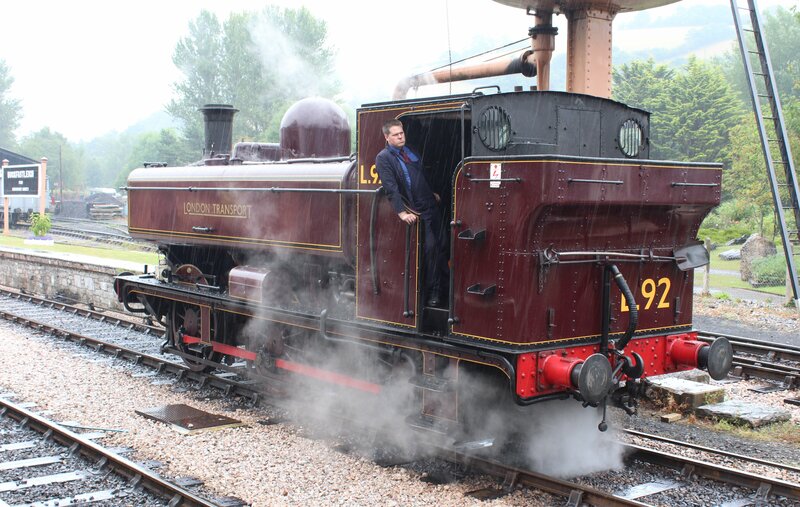 Despite being reliable excellent performing locomotives, the 13’s extended service wasn’t long lived and they lasted until 1971. This reprieve from the cutters torch helped 6 of the 13 be preserved for prosperity. Ten other 57xx class also survived, which is a relatively small proportion when you consider that no less than 863 were constructed between 1929 and 1949. 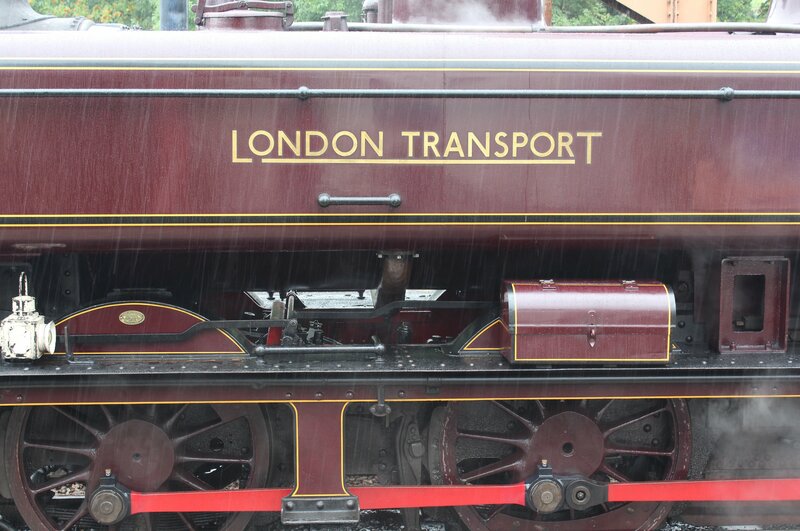 This locomotive was repainted in it’s attractive livery to coincide with the 150th anniversary of London Underground in 2013. In 00 scale model form, Bachmann’s 57xx model (click here for its review) has proved to be extremely popular in London Transport lined red. Indeed, it has featured on my personal wishlist for some time! I’ll have to keep my eyes open for that! 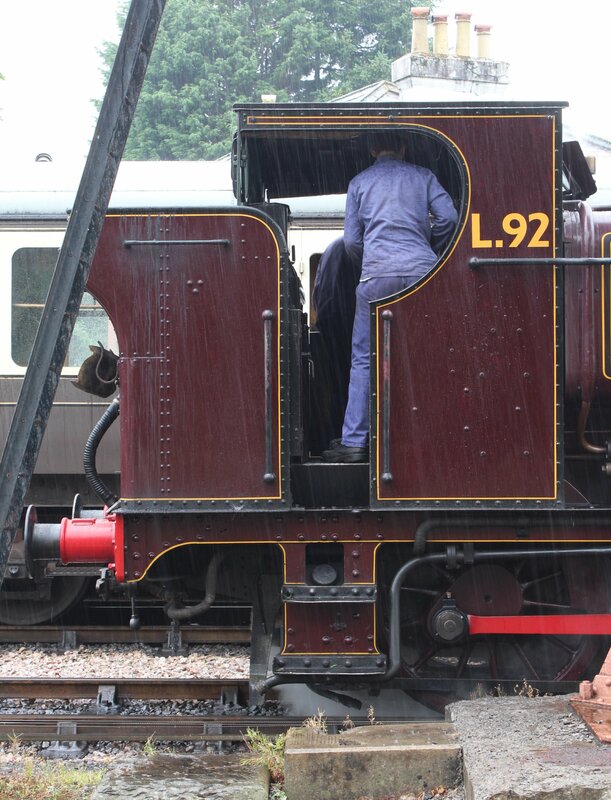 Always had a soft spot for an LT pannier one day in 3mm maybe, they do the transfers!